If interested, the whisk was sitting on a frosted piece of glass, a white foam board was behind it and used my Canon Speedlite 430 ex II set at 1/64 on manual. Oh yea, the Speedlite was high camera right. Beautiful shot! You really are the master of this type of shot. The reflection and light are perfect! Thank you so much, your input is greatly appreciated! This is such a great picture–and the whisk really is unique, I’ll be looking for one of those now. You should send this in to a cuisine magazine–looks very professional. Thanx Heather for the wonderful compliments! I really like off camera flash work, can’t wait to get more Speedlites to really be able to play around! This is a beautiful image. The lighting is perfect and the reflection really adds to the image. Thank you for the compliments Terri! 😀 I think the reflection rather makes the image myself. Great shot David! I still love the effect you get from the frosted glass with the reflections under the object you’re shooting. That’s on my list of things to try. Thank you Jim. Good luck with this technique, it’s a fun shoot trying to get the reflection/lighting you like or are trying to achieve! Wow! What a great shot, and I love the whisk. Im a kitchen gadget freak though. Oh what a nice shot to show off one of my favorite tools from the kitchen. Very nice composition and love the reflection. 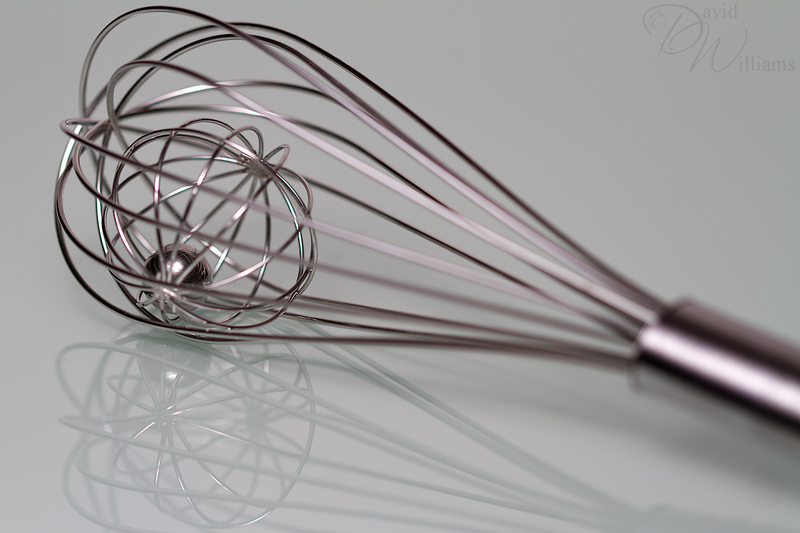 This whisk is very interesting looking… does it really have that round ball in the middle or did you put it there? Job well done. Do you think you will do this again for 2011? Or something different?